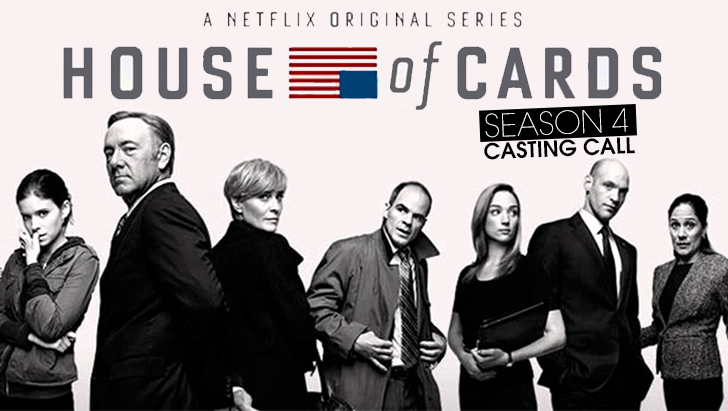 Casting directors of Netflix’s House of Cards are looking for extras of all ethnicities to be cast for their upcoming season. House of Cards follows the life of Frank Underwood, a Democrat from South Carolina, who constitutes an elaborate plan to claim the title as the US president with the help of his wife, Claire. Kevin Spacey, Golden Globe Award 2015 winner for best actor, will be making a comeback to reprise the character of Underwood. At this moment, they want to cast local talents who are interested for principal and speaking roles. They are also looking for male and female business and blue-collar types. Also, they are seeking for black-tie affair and cocktail party attendees. You must be at least 18 years of age to fit for any of the the parts mentioned above. Meanwhile, a 25-to-40-year-old African American actress is sought for the part of a billiard player to be used in a scene which will be shot in the middle of June. You must have an experience or should be skilled in the sports of billiard. If you are interested, simply click on the ‘Apply for This Job’ so you can be provided with further details with regard to the audition. Accepting of submissions will only be held until June 15, 2015. Talent interested in principal / speaking roles will need to attend in person auditions in the area if selected to try out, so please only apply if you live within a reasonable driving distance. Casting Directors are hoping talent attending will come dressed up for the roles they are seeking as they will be taking photos of talent on-site. Ladies are asked to attend with their hair and makeup already done. Black Tie Affair Attendees; Casting Directors are hoping talent attending will come dressed up for the roles they are seeking as they will be taking photos of talent on-site. Ladies are asked to attend with their hair and makeup already done. Cocktail Party Attendees; Casting Directors are hoping talent attending will come dressed up for the roles they are seeking as they will be taking photos of talent on-site. Ladies are asked to attend with their hair and makeup already done. Seeking experienced and skilled female Billiard Player to work on scenes. Must be top notch and able to own the table. This will work sometime in the middle of June.